This is a special limited edition offered to our website friends. If you’re looking for something romantic and different this could be the perfect gift. It will set the mood when you’re popping the cork, opening the box or looking into the eyes of the one you love. If that person is far away this CD/Greeting Card with almost 15 minutes of ‘love juice’ pouring out of Chuck’s horn and heart will send your feelings along with his to that special someone in your life. 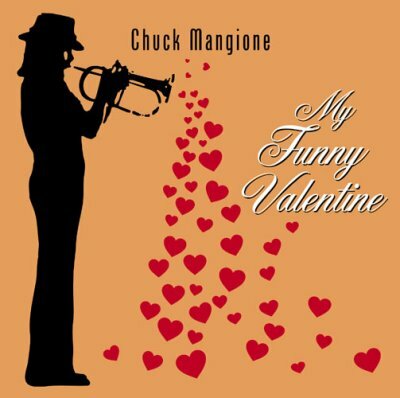 By downloading this attachment you can listen to a brief excerpt of a rare rendition of the classic “My Funny Valentine.” Chuck Mangione recorded this during one of the last live performances at the legendary New York City jazz club, The Village Gate. 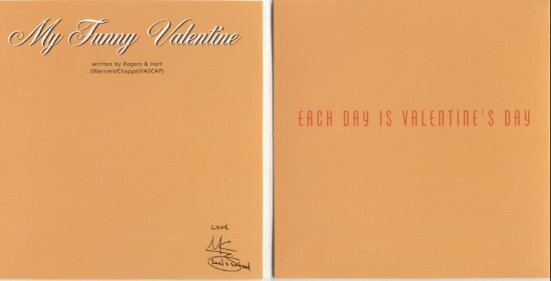 The CD features over 13 minutes of Chuck & his orchestra serenading your special valentine. Where You Can Write Your Message ! Special Price! Only $3.95 with any purchase in our Gift Shop.